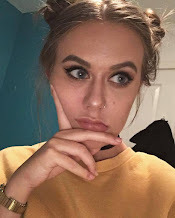 I'm a slight concealer junkie, and although I will always be loyal to the Collection Lasting Perfection Concealer, I like to try new ones now and again, and I have recently found two which I do really like. 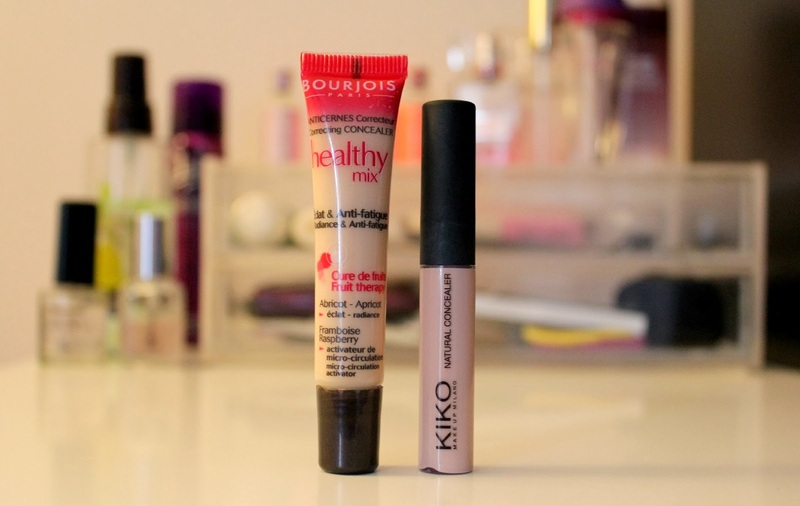 I have been using the Bourjois Healthy Mix Concealer for around a month now, and I am really enjoying it. It has the typical Healthy Mix smell, which makes using it 10x better. Scents aside, the actual product is great too. It is quite yellow, but I find that once blended it looks fine, and offers a good coverage. It sets to a satin finish and I have never found it to look cakey whatsoever, which is a big winner. I tend not to use this one under my eyes, purely because I much prefer the next offering for that. So, they Kiko Natural Concealer in 01 has been getting daily wear under my eyes. It is slightly pink so helps to cancel out darkness. I have ridiculous under-eye puffy bags that runs in my family so I have learnt to live with them but whatever I can do to take the harshness away I will do. I really like the way this wears, as it has never creased on me at all, and I find it to look so natural. Two new concealers in my collection which I am getting on with so well. I can guess that at some point, I would repurchase these once again if they run out before I find anything even better. They look lovely! I'm not a complete concealer lover and rarely wear it but they look nice. This both sound lovely, might have to give them a go soon! I am also a huge fan of Bourjois foundation, I miss their 10 hour sleep effect! really need to try more kiko products, been seeing reviews creep up everywhere lately.. I haven't found any affordable concealers I love but I've heard so much about the Bourjois I'm curious about it!